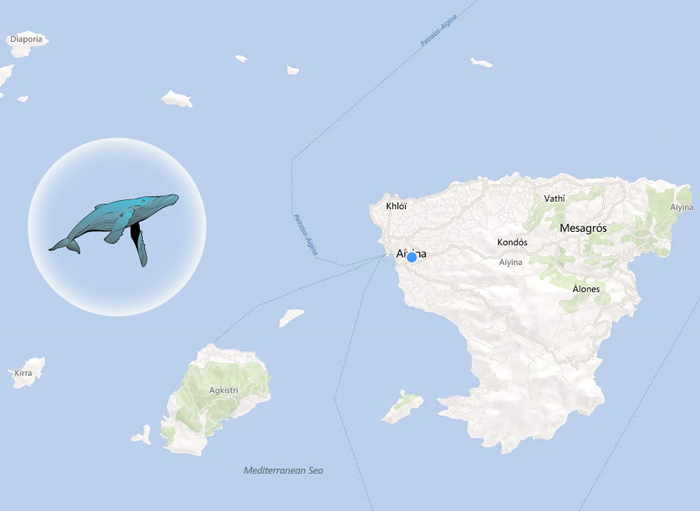 On May the 19th, three fishermen from the island of Aegina had the chance to admire and film a fin whale (Balaenoptera physalus). 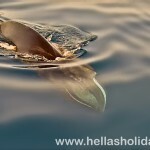 The impressive sea mammal was observed in the Saronic Gulf, approximately 6 miles from Aegina, and it was the first time that a fin whale was ever observed and filmed in the Saronic Gulf. According to the fishermen, the whale was calm and friendly and it approached the fishing boat without being scared. “This was a lifetime experience”, said the fishermen, who consider themselves blessed to have been witnesses of such a rare visit. According to sea-life experts that saw the video, the fin whale was a young female of approximately 35 years old and 14 metres long. 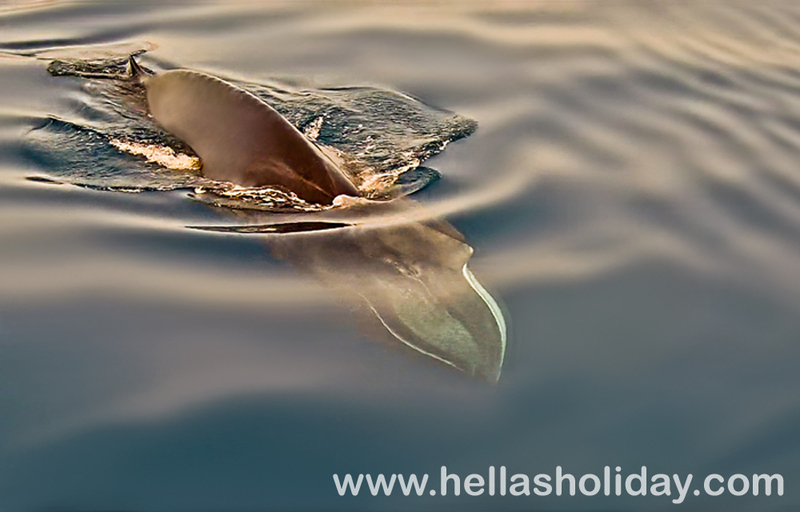 The Saronic Gulf has recently hosted a few other whale species, as a result of its waters becoming cleaner and the environment more hospitable for such animals. Fin whales are the second longest animal species in the world after blue whales. They can grow up to 26 metres long (with an average of 20.6 metres) and can weigh up to 80 tonnes (with an average of 57 tonnes). Their life span is approximately 80–90 years. Fin whales are a cosmopolitan species, and therefore, they can be found all around the globe, except -may be- very near the North and South pole. Fin whales bear a characteristic fin on their back near their tail, from which the species takes its name. They feed on krill, small schooling fish, such as herring, capelin, and sand lance, as well as squid, while they fast during winter.